The Safety Institute is dedicated to build a safety culture in New Jersey by providing information and education to both citizens and governmental officials. 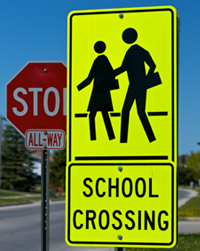 A non-profit organization, the Institute assists communities, schools, and counties expand their safety programs. Any public entity may use these materials for non commercial purposes. Attached is a NY Times article reporting data that the auto fatality rate in 2016 increased 6% for a total of 14% since the beginning of 2015, primarily due to driver distraction. The Institute’s video, “Surviving Urban Driving” is especially timely. The Institute’s video, “Walk the Walk” discusses how a community can address this problem. The Institute’s new video, “Smart Moves to Avoid Falling Down” addresses this trend. The Institute also released a PowerPoint presentation for senior groups. The Institute’s website includes “Safe Patient Lifting for Emergency Responders" to train employees how to deal with real life situations. The Institute’s website also includes a new video on cyber security. The Institute's booklet has been distributed to all elected officials in the state. Contact the Institute for additional copies. Howard Spencer, a long time member of the NJ Safety Institute, was recognized as "Safety Professional of the Year" by the National Public Sector division of the American Society of Safety Engineers at the ASSE conference in Denver, CO.
Website produced by NewTech Services, Inc.